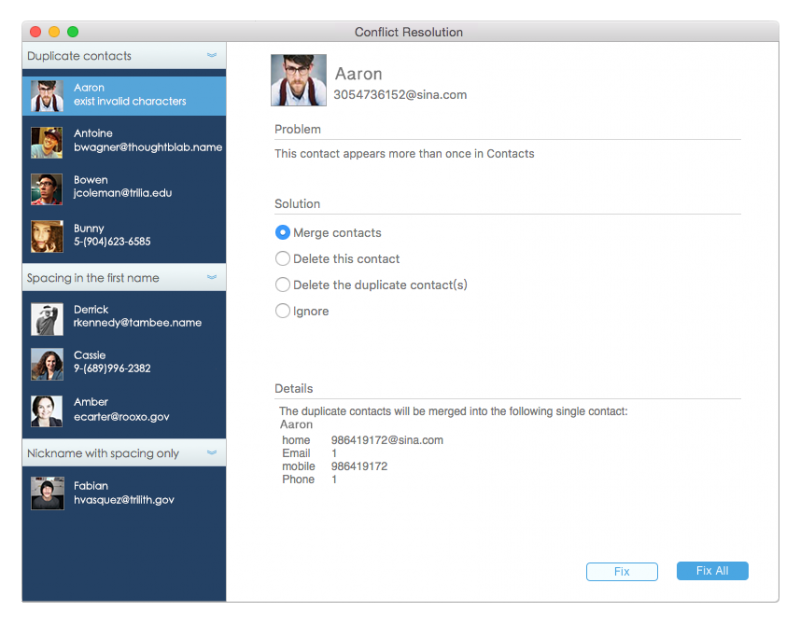 Have multiple duplicate contacts in your address book? Confused which is the right one? 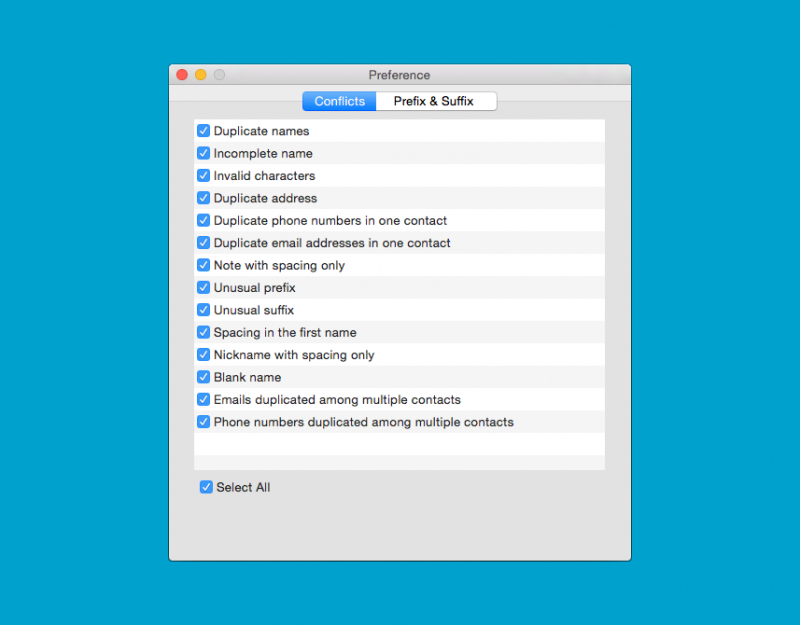 Well, instead of manually crawling through your entire OS X Contacts, save yourself the trouble with ContactsMate 3. It will automatically scan your contacts for duplicates or conflicted information. 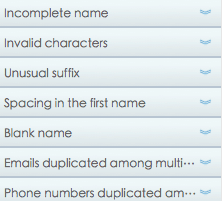 Simply clean all duplicates with one click! You might have your Google contacts imported in Mac mail or vice versa. Probably there will be lots of duplicates in your contacts list. You can search and delete yourself. 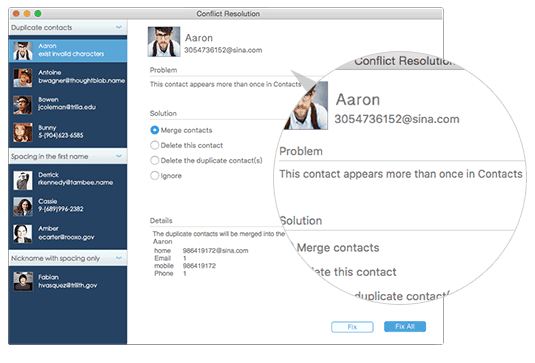 ContactsManager 3 helps you finding the duplicates. Find & merge matching contacts, e.g. contacts with similar names. 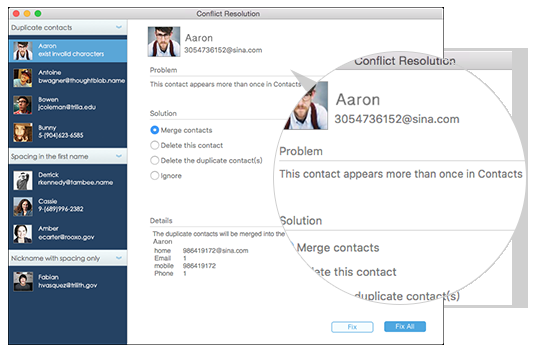 Find & merge contacts with duplicate phone, address or email. The utility has a nice clean layout and interface. The left sidebar is used for folder and delete/edit overview. 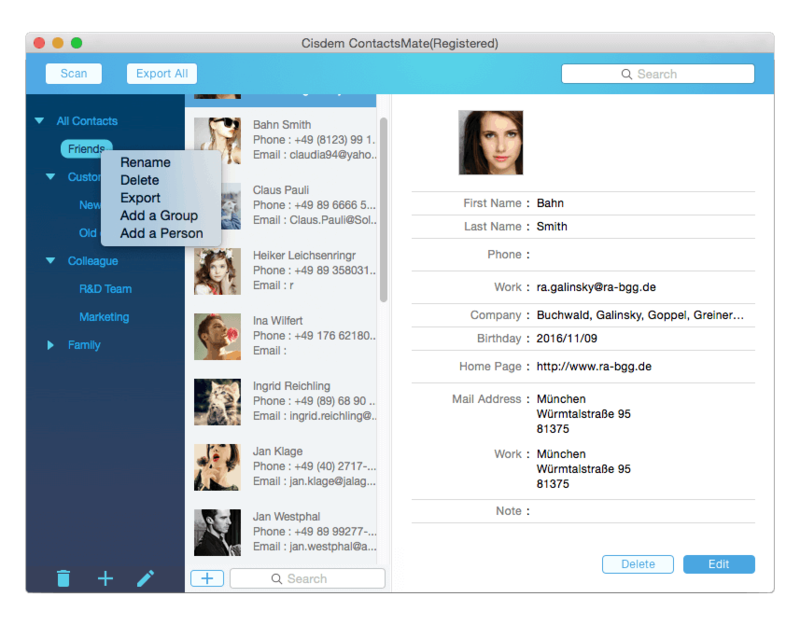 All contacts info can be stored nicely. When you run Cisdem Contact Manager, it will ask you to allow it to access to sync with your Contacts. 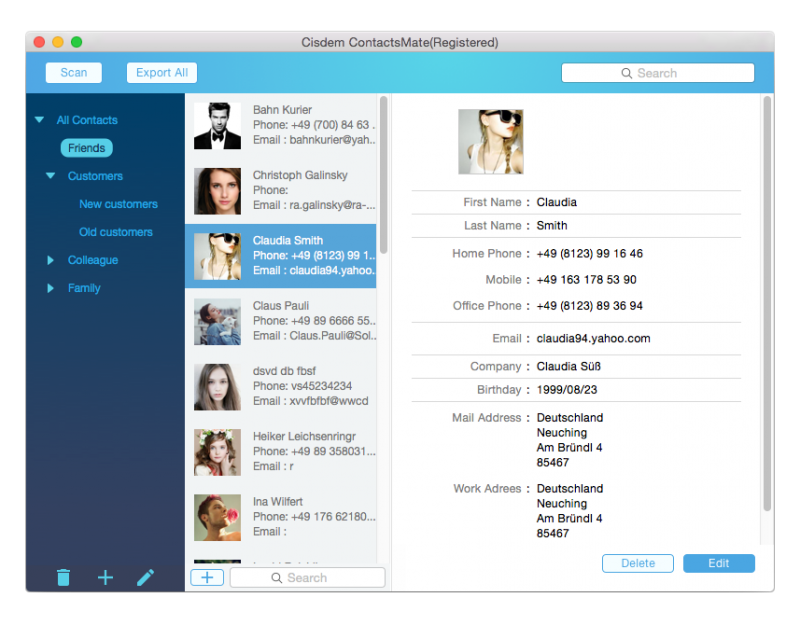 Just click “OK”, your contacts will be synced to Cisdem Contact Manager. CSV , Doxc, Excel, Numbers, Pages, Txt, vCard, Html format. These formats should cover most needed options. 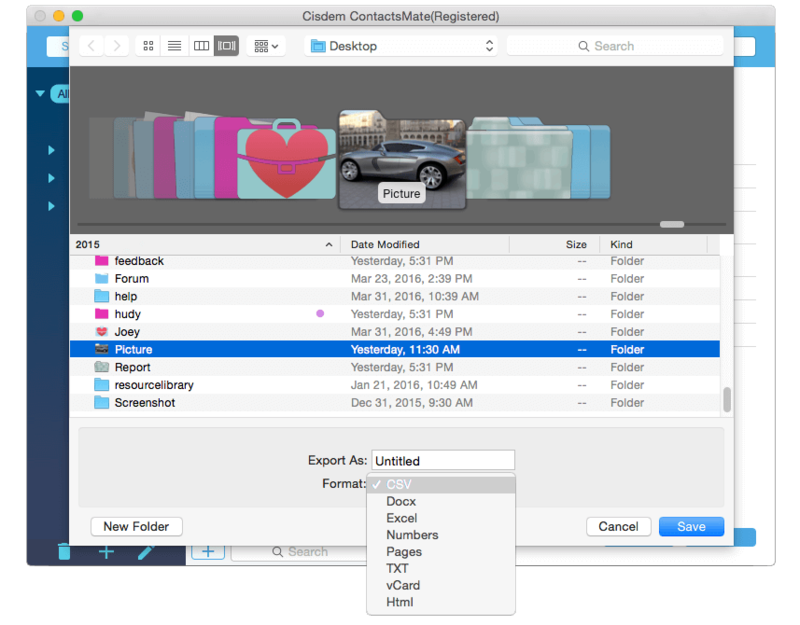 CONTACTSMATE 3 scans and finds duplicates in just a few seconds. Choose to merge or delete as fix, and job done. 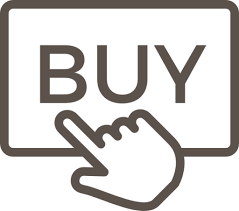 It works reliable, fast and intuitive. Best of all, it makes life a lot easier if you have a few hundred contacts in your list. I for one am happy with contactsmate 3, and will keep using it. If you have an extensive contacts list this is a must have. Export formats are great for importing in other email clients not supporting your Mac contacts. One tool does it all, fix, import and export. One point for improvement is to add the ability for scan and fix within a group! Ѕuρer-Duper webѕite! I am loving it!! Will beе back later to read some moгe.